January 31; Government and Opposition leaders reiterated that both are on board for national youth development. This was stated at the PILDAT and UNDP Pakistan consultative dialogue between Pakistan’s youth representatives and parliamentarians/policy makers on Democratic and Peaceful Governance and Sustainable Development which brought together key political parties alongside youth representatives to address issues of youth’s concern. In his inaugural remarks, Honourable Mr. Asad Qaiser, MNA, Speaker, National Assembly of Pakistan, said that he owes his political career to students’ politics and activism. He said that he has been elected, first as MPA and Speaker in Provincial Assembly of Khyber Pakhtunkhwa and now in the National Assembly of Pakistan, only through youth and student activism. He advised young people never to under-estimate themselves. Active young people today will become MNAs, Speakers and Prime Ministers in the future. The National Assembly of Pakistan has 96 young MNAs. He announced that the National Assembly will soon notify a Young Parliamentarians Forum and he would like to seek the support of PILDAT in facilitating the young MPs and the forum. Such engagement is necessary both at the National and Provincial levels. Mr. Usman Dar, Special Assistant to Prime Minister on Youth Affairs, highlighted that while Youth is a devolved subject after the 18th Amendment to the Constitution, youth remains an important agenda for the Federal Government. The Government is working on a Youth Framework to empower young people and the framework will be put in place in the coming few months. The Federal Government is also launching a National Youth Development Index. An Economic Empowerment Programme to provide employment to 10 lakh young people across the country is also in the pipeline. The Government is also launching a Green Youth Movement, which through social engagement, will generate employment opportunities for youth. Similarly, the Government has designed a Sports Engagement Programme for young people. The Government is also very keen to revisit curriculum to match job market while each and every initiative of the Government includes a focus on job creation for young people. In providing an overview of Recommendations from Provincial Dialogues, Ms. Aasiya Riaz, Joint Director, PILDAT, said that young people from across the provinces underscored the need for a comprehensive policy of Education, Employment and Engagement for youth across Pakistan. Young people asked that the Federal Government should ensure that academic institutions both allow and actively facilitate functional student unions. Youth requires to be utilized by encouraging entrepreneurial initiatives especially among women whose labour force participation is abysmally low. On reforms in the Education sector, young people across provinces have demanded that the Government must initiate a curriculum development programme. Additionally, public institutes must have career counselling services to facilitate the youth. 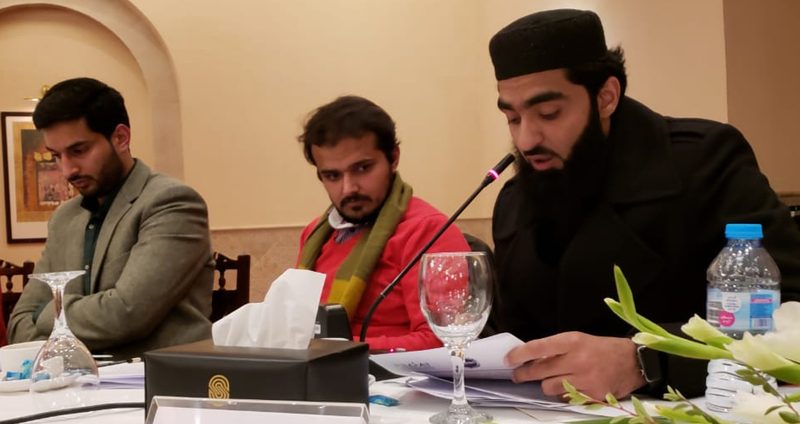 Youth especially from Balochistan and Khyber Pakhtunkhwa highlighted their suffering due to violent extremism and have asked that the Federal Government must launch an institutional campaign to discourage violent extremism. As part of UNDP’s national initiative Kamyab Jawan: Youth Empowerment Programme (YEP), the dialogue brought together parliamentarians/policymakers from government and key opposition parties (represented in the Parliament) to constructively engage with youth, seeking to identify and prioritize Pakistan’s challenges for improving democratic governance and sustainable development from young people’s perspectives. PILDAT and UNDP have spent most of 2018 holding similar dialogues in the four provincial capitals – Lahore, Karachi, Quetta and Peshawar – where political parties, including provincial governments and opposition, engaged with and addressed key concerns of youth in the provinces.